Hello tap lovers! This website is a 100 % for tap dance ! 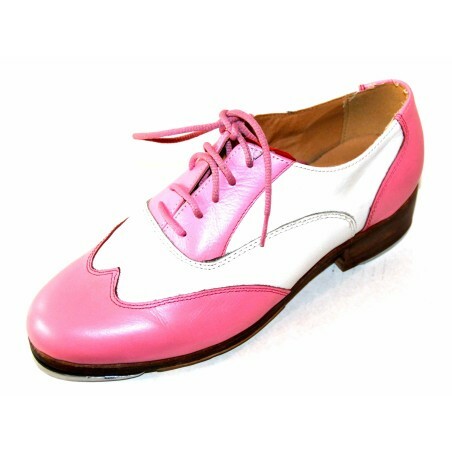 Tap Shoes: we start the new year with lower prices than ever! Large choice of quality tapshoes! 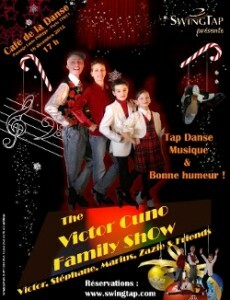 Victor, Stéphane, Marius & Zazie, the whole family on stage! All tap and each one plays at least one instrument… Coming up: our next show in Paris ! Small booklets for free download! available as PDF download right now! downloads are very practical: buy them and get an immediate link for downloading. Print whatever you need today or just read through! just register and get the famous Shim-Sham for FREE! Tap Dance Classics N° 2a – Singin’ In The Rain” – ALL OF IT! The complete tap edition: all the routines of the famous film, analyzed Step by Step by Victor Cuno. Tap Dance Classics N° 10 – BUSTER BROWN: LAURA. A great tap routine in the Paddle-And-Roll Style of the afro-american tradition. Tap Dance Research N°10 – The B.S.-Chorus. A tapdance research book by Victor Cuno (350 p). The famous afro-american routine with full documentation.